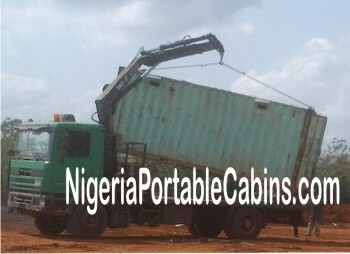 Used shipping containers have become a part of our national life in Nigeria. For example, many traders in Nigeria deplore used steel shipping containers as office containers or shop containers. This is especially common among distributors of beverage drinks manufactured by major national and multinational companies in Nigeria. It is not only wholesalers and retailers of national and multinational companies who need used metal containers for shops or offices. Every small business person can take advantage of the benefits of used containers. 1. They are affordable. For example, a used steel shipping container is about 70% cheaper than a brand new container. 2. They are locally available. When you order a used container from us, we deliver it to you within a few days of confirmation of your payment. 3. It is easily relocatable. If you have any issues with the location of your container, you can easily relocate it. NO STRESS. Take advantage of used containers and save yourself money and loads of stress. Buying a used container is pretty simple. Just fill the simple form below to place your order. P.S: One of our customer service personnel will follow up with you to ensure you get just the right container you need.